The hinge knuckle is fashioned in the traditional way and is very strong. 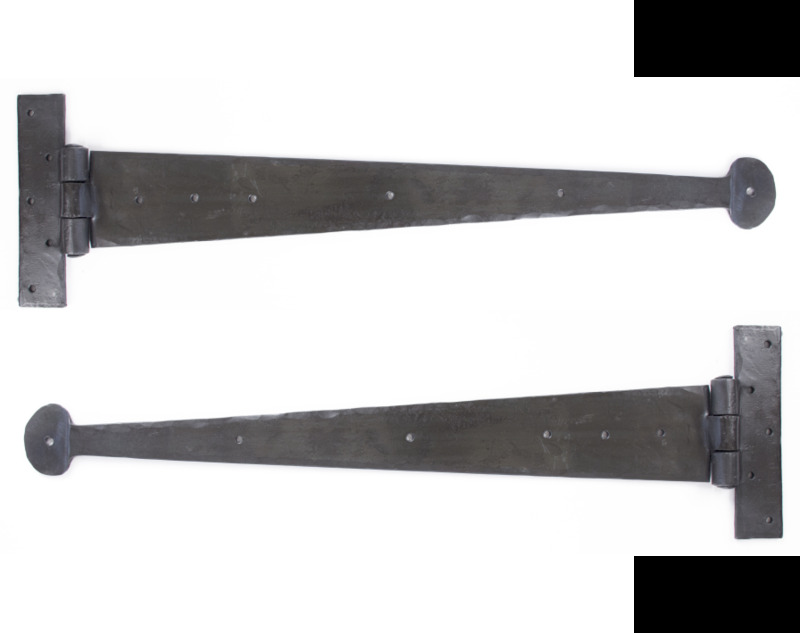 This pair of 22" T hinges has a penny round end. They are much chunkier and will carry a very heavy internal door. 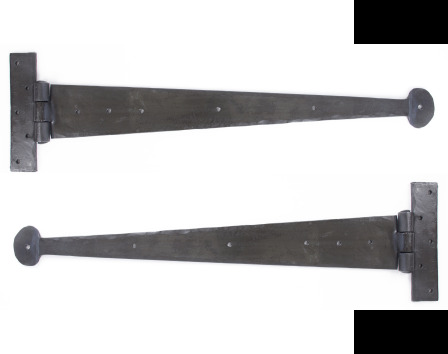 Designed for doors over 2ft 9" wide i.e. double boarded doors or framed ledge and braced 45mm thick.